← Card Making can be a Family Affair. Blow Out Your Candles and Make a Wish. When I see a card or craft idea in a magazine I really like, I tear out the page and put it in my Idea Book. The book is nothing special to look at. Just an old 3 ring binder our daughter used for school in the 5th grade. The outside is plain green with her name scrawled in big silver letters. 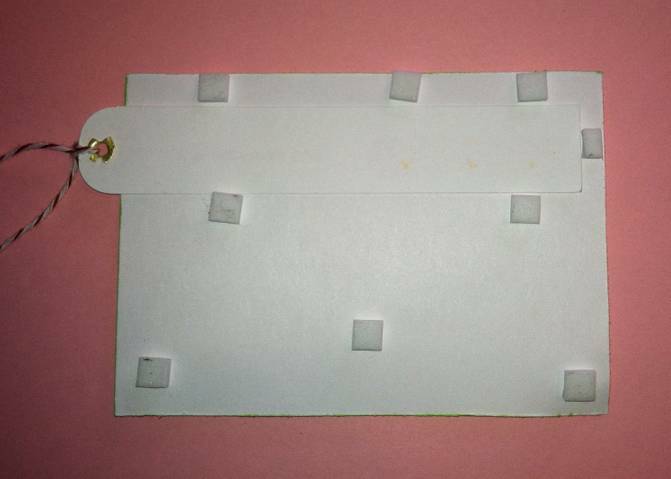 There is a big strip of paper stuck on the back from some old sticker she tore off of it. But on the inside it is a thing of beauty for the novice crafter. It is full of ideas from crafting magazines, Martha Stewart and images from the internet. I pulled out a page from it this weekend that had been calling my name since March of 2011. 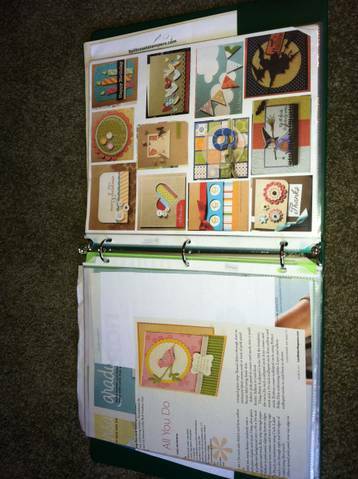 The idea was featured in Card Maker Magazinewhich is a bimonthly publication and an awesome wealth of ideas. 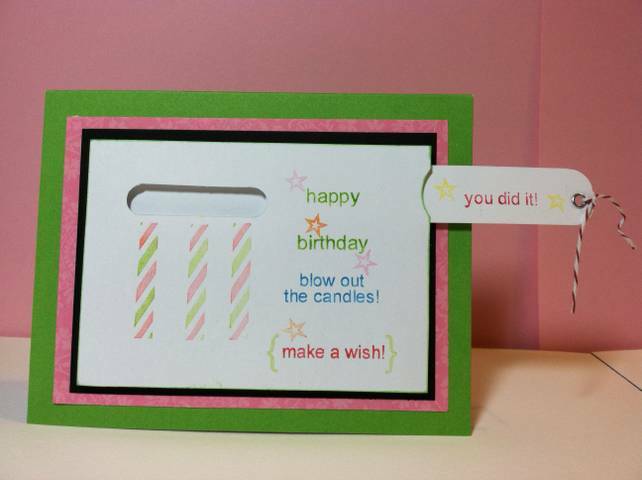 The card features the Candles on Your Cake set by Gina K. Designs and a clever idea for a slide surprise. You could probably play around with the sizes for the card base and the stamps for the featured layer. However, you will definitely want a eyelet for the slide tag, dimensional stickers to keep the slide from flopping around inside the card and a Word Window punch from Stampin’ Up if you have one. Enjoy! 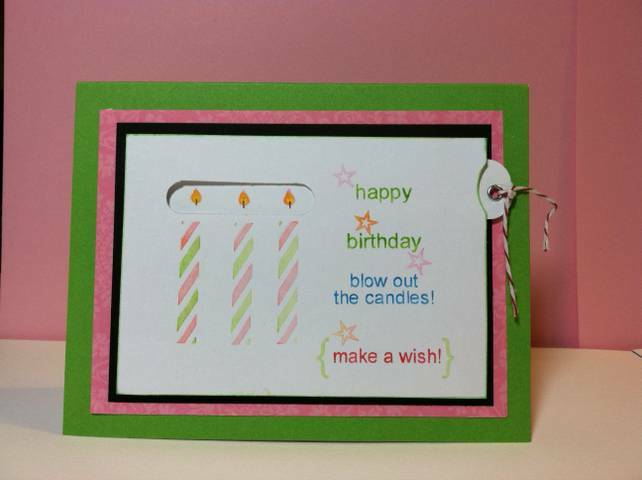 Posted in Birthday Cards and tagged birthday, candles, Card Maker Magazine, Gina K., gina K. Candles on Your Cake, Gina K. Designs, slide card, stampin up. Bookmark the permalink.